Business Custodial Services Fort Lauderdale | CSI International, Inc.
CSI International, Inc. offers an unmatched system for excellent service by providing outstanding janitorial, mechanical, building operations and maintenance, and integrated facility services, along with reliable service integration and continuos quality control. Our customer-centric focus on amenable and long lasting business relationships is founded on resolving the challenges regarding your office needs both orderly and economically. Business Custodial Services will not be performed efficiently without an active interest and continuous involvement on the part of all levels of management. Those in charge recognize the need to perform beyond expectations by putting the right people in place, providing directions, documenting accountability, reviewing goals and keeping an eye on the continuous performance of the work being done. We take great pride in offering individualized solutions to align with your business model; night custodial, day cleaning, green custodial and more. Once CSI establishes the culture of your facility, CSI will customize your Business Custodial Services to align with your exact needs. Our Services Include: Janitorial Services, Integrated Facility Services, Building Operations and Maintenance Services, and Value Added Services. Green Cleaning is defined as “Cleaning to protect health without harming the environment” - Executive Order 13101. 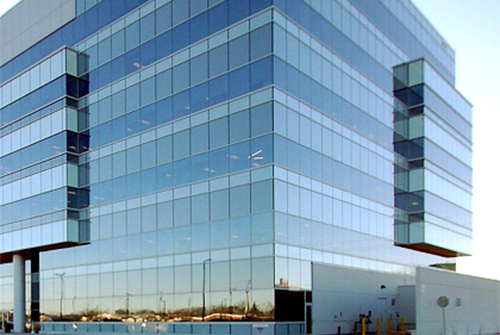 CSI International, Inc. is devoted to delivering a clean and healthy working environment for all our staff and yours. Presidential Executive Order 13101, issued in 1992, by former President Bill Clinton directed the building managers of more than 100,000 federally owned or operated buildings worldwide to start using green cleaning products. Executive Order 13101 also defined green cleaning for the first time, stating that it’s the “use of products and services that reduce the health and environmental impacts compared to similar products and services used for the same purpose.” Green cleaning is now the best use of products that diminish indoor pollution as well as reduce environmental pollution and favor sustainable materials. Preservation of a healthy workplace is the shared job of supervisors and staff at every stage of the CSI company. All staff is trained and held responsible to achieve the goal of eliminating the exterior’s role on the local environment and to highlight and practice environmentally safe, low impact cleaning chemicals and procedures. CSI understands that the concept of stewardship-- "the responsibility for handling, carrying out or monitoring the quality, state or condition of a commercial or institutional structure"- is important to the green cleaning perspective and essential to the success of our green cleansing program. CSI is devoted to follow a set of stewardship principles that have actually been developed by pioneers of the green cleaning movement. These principles will help in our efforts to be excellent stewards of the buildings we service, their occupants, our staff members, and the total environment. Tidy for health first and look 2nd, Minimize human direct exposure to pollutants and cleansing items, Recognize cleaning as an environmental health advantage, Devote to occupational development of cleaning workers, Communicate the worth of healthy structures, Decrease chemical, particle and wetness residue when cleansing, Ensure worker and occupant security, Contain and lower all pollutants going into the building, Dispose of cleansing products in environmentally safe ways, Establish and record regular maintenance schedules.